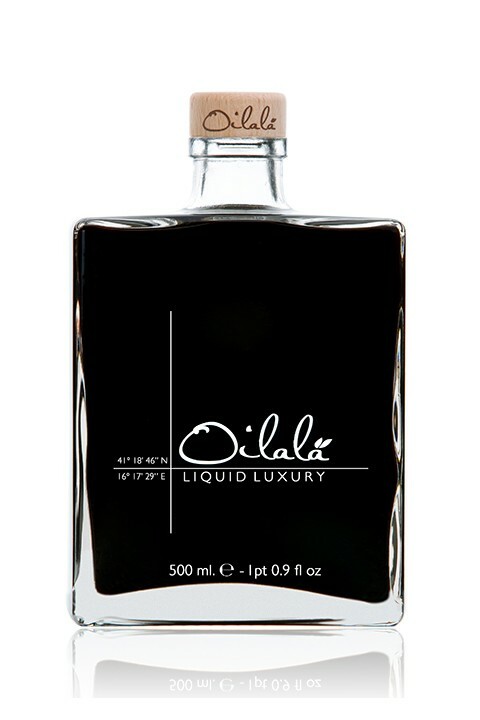 With a limited production, Oilalà Liquid Luxury is an exclusive product for demanding consumers. It's 100% artisanal and genuine product with no chemical ingredients. After the acidification in large oak barrels, the Balsamic is moved to smaller sized barrels, made of cherry, chestnut and juniper wood, in order to obtain the desired harmony. It is a versatile vinegar perfect on green salads, grilled meats and fresh cheeses. We even suggest trying it with Sushi and Sashimi. The glass transparency with a clear view of the pure and natural product inside, the wood cap, the silk print on the front side of the bottle, and the elegant box make it a unique piece of art. 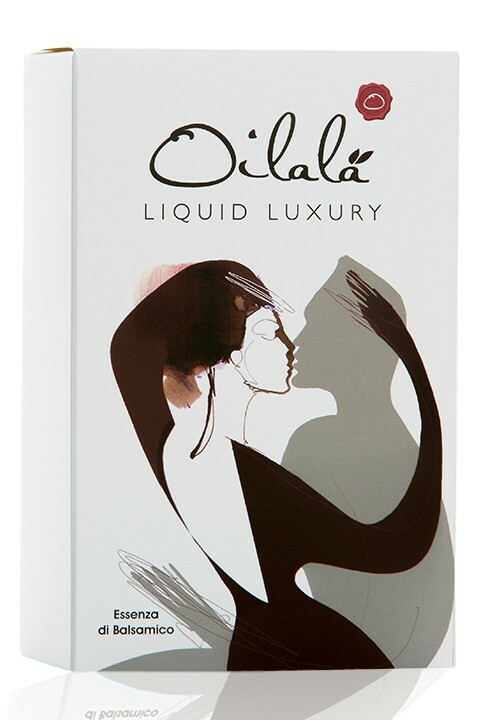 Also available the Extra Virgin Olive Oil in the same format.